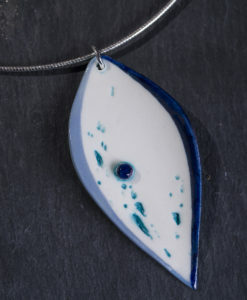 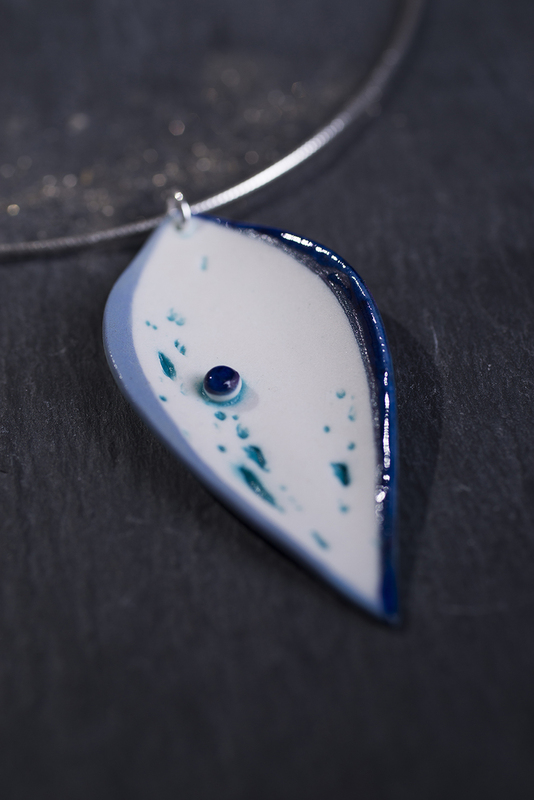 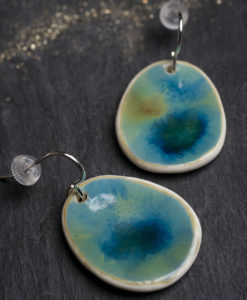 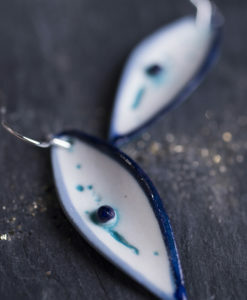 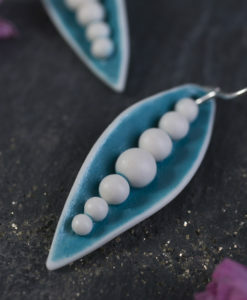 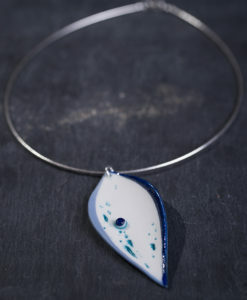 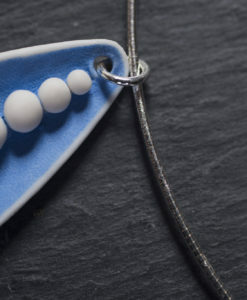 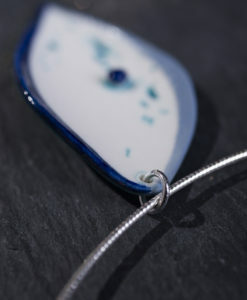 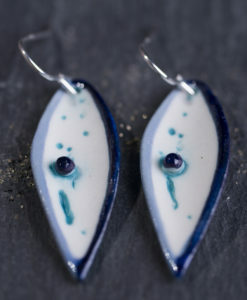 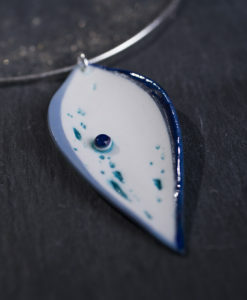 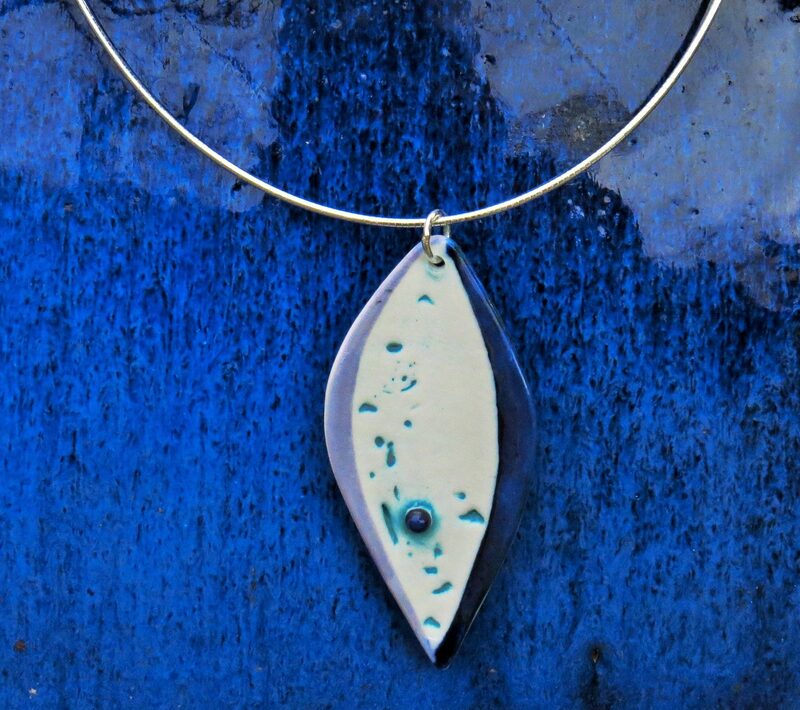 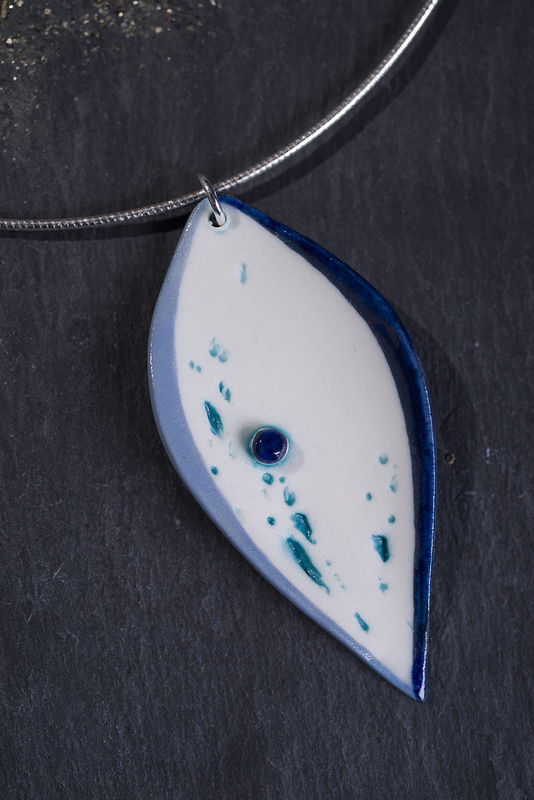 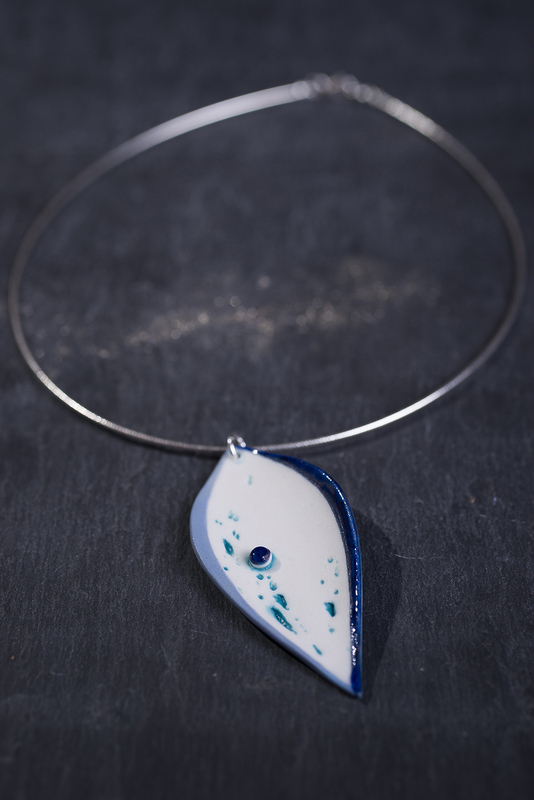 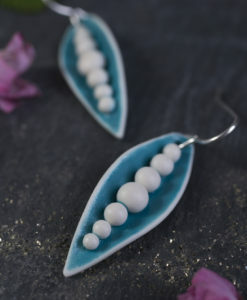 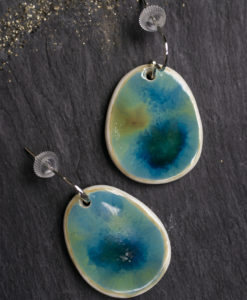 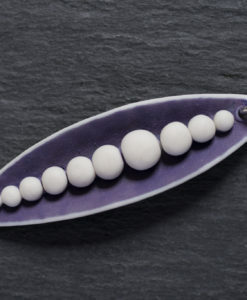 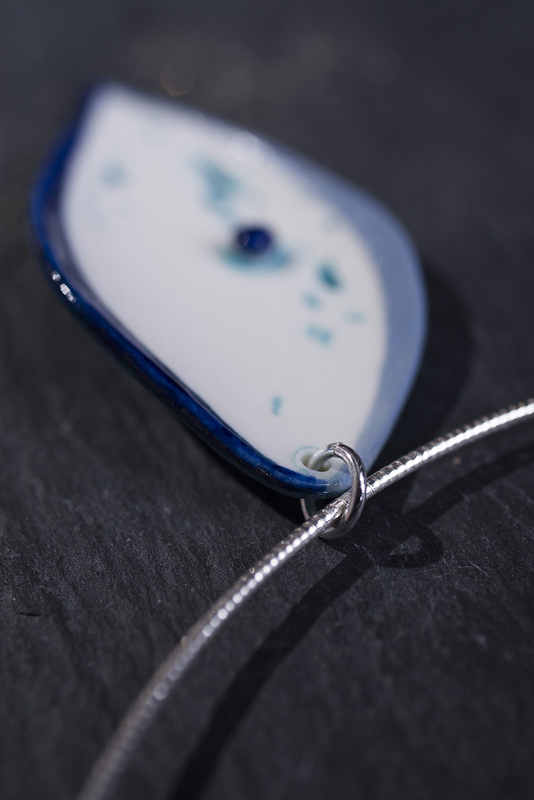 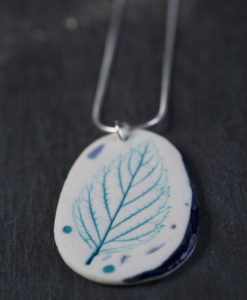 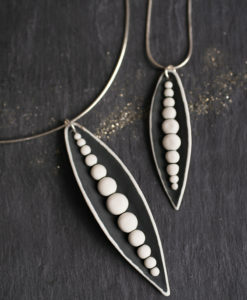 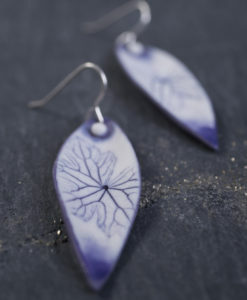 An elegant 6cm droplet with a dainty bead and textured pressing inspired by the stunning sea shore of North Wales. 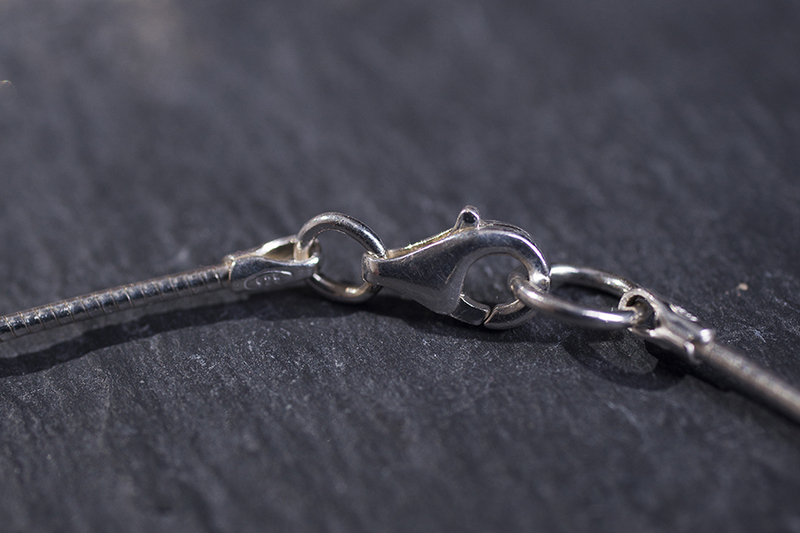 Comes on a 16” Omega Chain with lobster clasp. 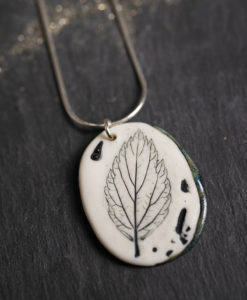 Price includes postage and packaging. 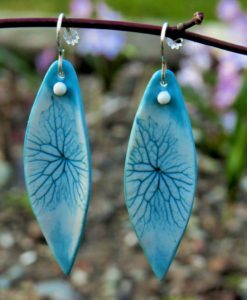 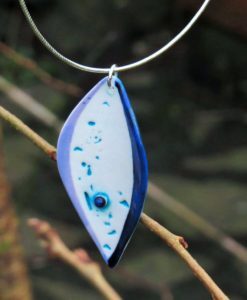 My work is inspired by the natural world and organic forms and has been influenced by both the stunning scenery of North Wales and my travels abroad. 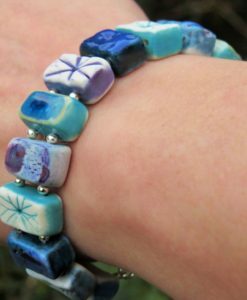 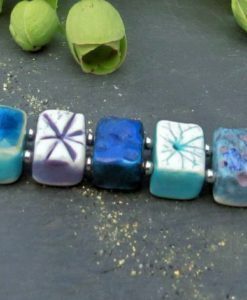 Charlotte always aims to dispatch items as soon possible however as each piece is handmade delivery may take up to 2 weeks for smaller items and up to 12 weeks for large orders or large pieces. 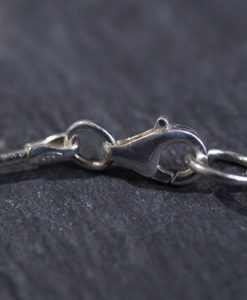 If you need an item for a specific date please contact me prior to ordering and I will do my best to accommodate. 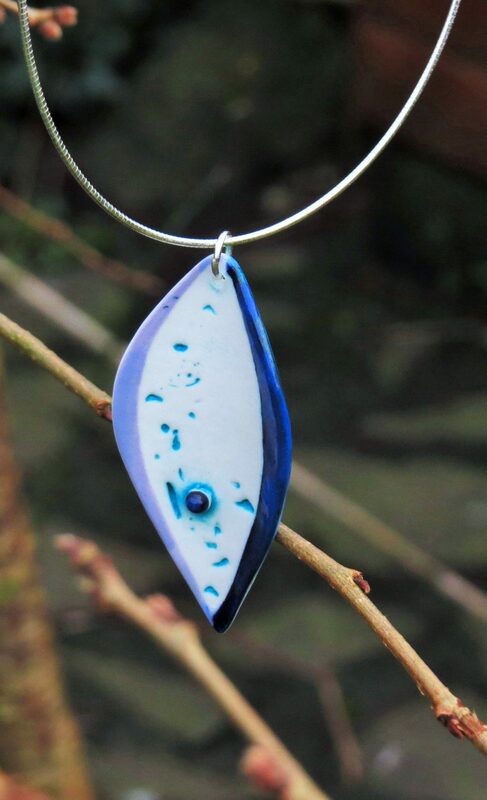 If you are ordering from Europe or World Wide please contact me for postage and delivery costs as this will be an added cost to be paid separately to ordering through the web site. 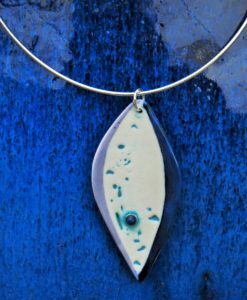 I share the responsibility of running Siop Iard in Pwllheli, where alongside my own work, you can see work from other local makers.